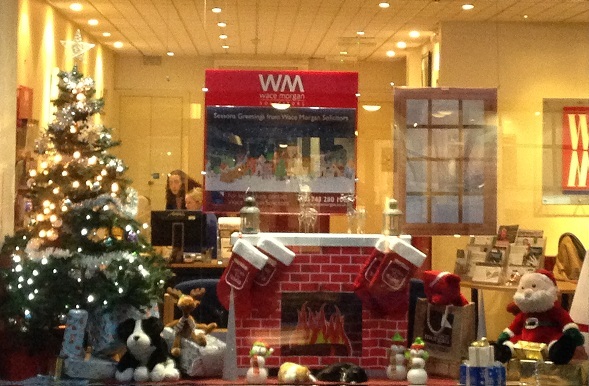 The festively-decorated window at our High Street Law Shop was recently awarded first prize in a Shrewsbury competition. The display, which had a theme of ‘Christmas Gifts’, was put together by Louise Jarvis and Claire Riggs, with help from Helen Alexander. It took the top place in class one of the Shrewsbury Business Chamber Christmas Window Display competition, beating off strong entries from other businesses in the town. “We are really pleased that clients and visitors to the town all seem to love our window display – it’s getting a lot of attention and it is great to receive first prize in the annual competition,” said Louise.